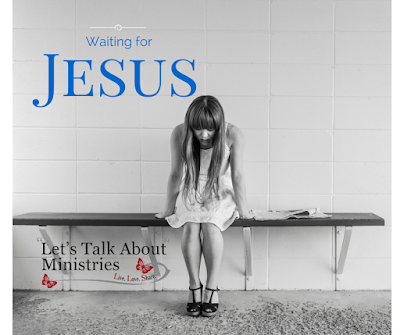 Welcome to week 5 of a study from Let's Talk About Ministries "Living in relationship with Jesus" series. This 8 week study follows Paul's letters to the Thessalonians. As I write this I'm sitting on a train, my journey requires a couple of train changes and that makes me really nervous. For one horrifying moment I did end up on a train heading to the other end of the country, thankfully I realised before it pulled out. The problem is I don't know which platform I need and I worry I might miss the connection because I'm looking the wrong way. My tickets have times on and that just heightens my concern, there's a time limit on how long I have to find the right platform and train. The moment I alight one train I'm on alert looking for information and signs for the next train I need, and then I'm watchful of the time and it's arrival. Will I be caught out? I was early for my first train and sat on a bench on the platform, with time to spare I didn't take much notice of the time as I was engrossed in a book. I barely noticed as the train pulled in and I had to jump up and gather my things to get onto the train. I wasn't watching for it because I felt confident and secure, knowing I was in the right place for when it came. Paul encourages us that as we live in the light, we are indeed in the right place for when Jesus returns. So we shouldn't be surprised, but are we just sitting in the light, distracted by other things or are we ready, expectant and watchful? In the parable of the 10 virgins in Matthew 25, you can see the result of not being ready. As those who were unprepared ran off to get more oil for their lamps the bridegroom arrives and they miss him. If you are not being filled daily, connecting with God and living a life imitating Christ, then you may not be ready when he comes. There will be no time to run back and fill up. Are you watching? If Jesus came today would you be ready for him? This is a great analogy. Thanks for sharing it.